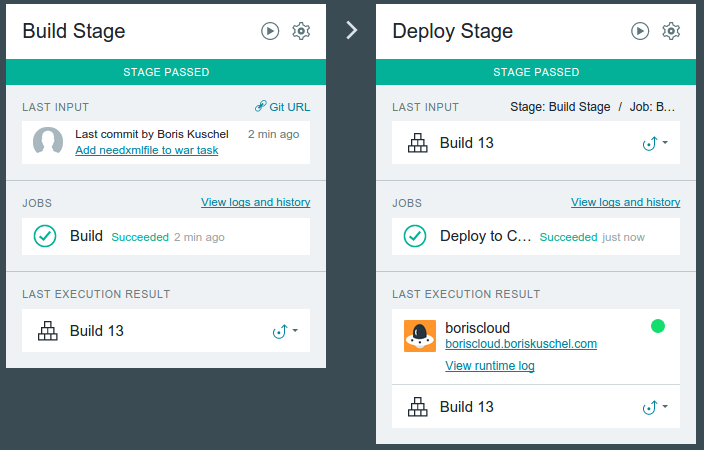 Boris's Cloud Blog: Build a Cloud Foundry Java Appllcation: IBM Bluemix DevOps Services! 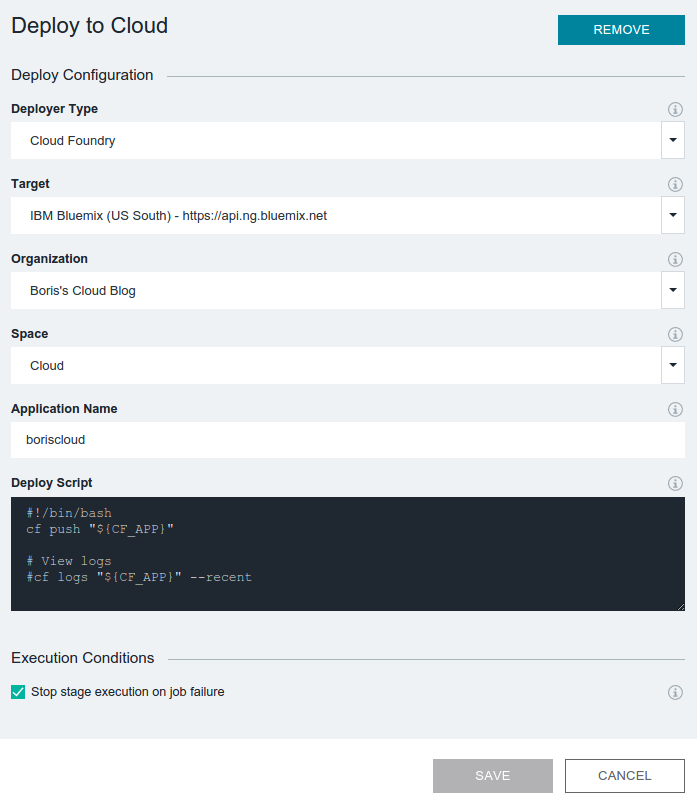 Build a Cloud Foundry Java Appllcation: IBM Bluemix DevOps Services! 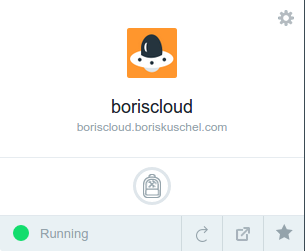 In the previous posting I created an java application in Cloud Foundry that I already prepared (built and packaged) locally beforehand. A good PaaS would allow me to edit, build and deploy right from the platform itself. With some technologies, like Node.js, this is very easy as the files do not need to be compiled but as we also wish to show some build integrations so we'll continue with Java. IBM BlueMix provides these edit, build and deploy SaaS capabilities called IBM Bluemix DevOps Services. It provides integrated source code version control (git) , a source code editor (orion), tracking and planning and build and deploy services. 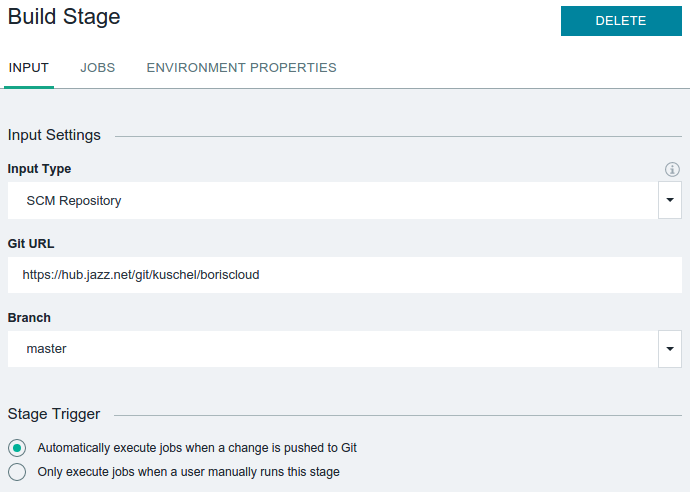 The deploy stage can deploy into the Cloud Foundry upon code change in source code repository. 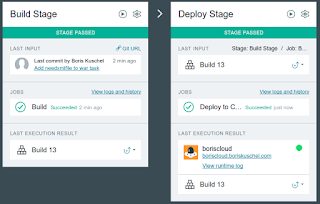 There are other ways to do this in an automated fashion outside of IBM Bluemix, build processes can be on local bare metal servers or using IaaS with IBM UrbanCode Deploy. 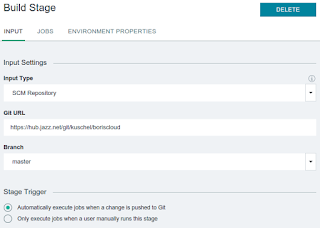 I'll will cover how to use IBM UrbanCode in later postings where I use BlueMix IaaS to set up my build environment. In the meantime, I am going to set up IBM Bluemix DevOps services to build our sample java application. Continue through the dialogues that pop up, after which a new git repository link should be added to the project. Writing objects: 100% (2/2), 353 bytes | 0 bytes/s, done. To get to the git editor click the "Edit code" button. Form here you can edit files, commit them and most of the common git operations. Press the second icon on the left bar to get to the git operations view, press the "sync" button to merge the local repository with any incoming changes that were committed using "git push" command. Once all the files have been added a corresponding build.xml file was also added. This will be used from the build. 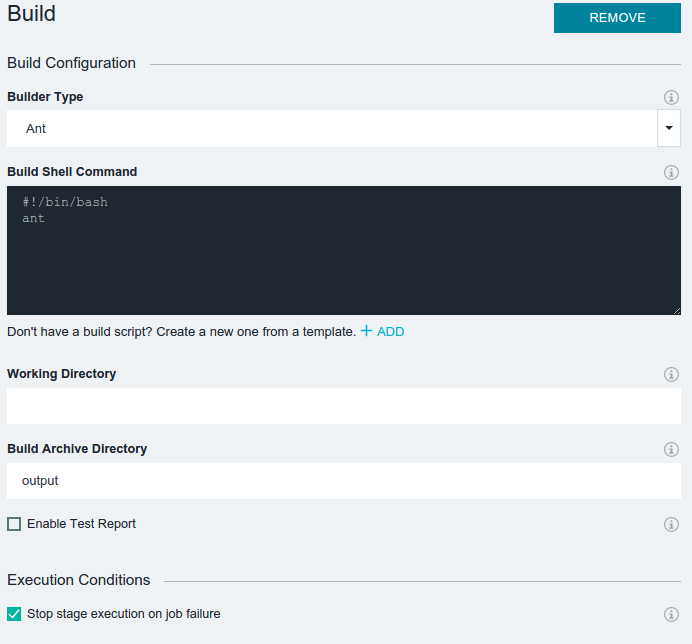 Click on the "Build & Deploy" button. Click on the build state. By default, the build will occur whenever new changes are pushed to git. Configure the Build Stage to use ant and the build.xml file. Set the Deploy Stage to deploy to cloud foundry. That's it, how we have a slick DevOps operation for our sample java application.